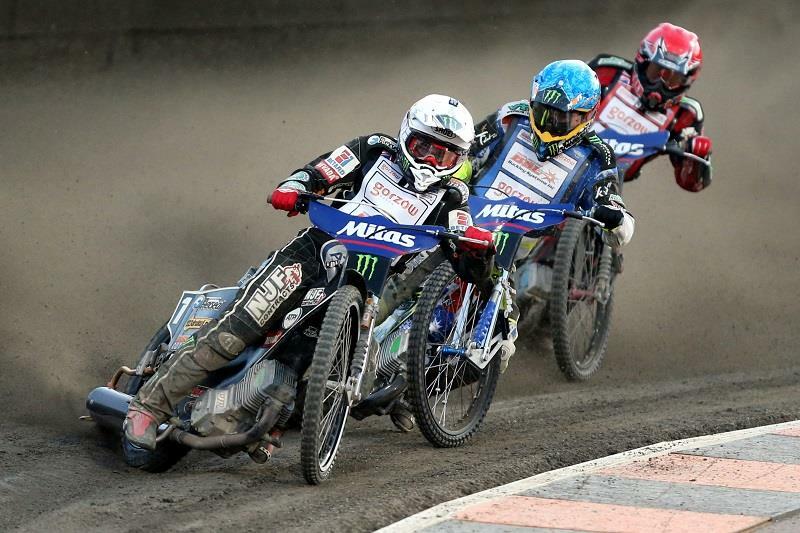 Tai Woffinden charged back into world speedway championship contention with second place in Saturday night’s Finnish Grand Prix. Britain's defending world champion was leading the deciding final heat and all set to win the meeting when his bike reared and he ran wide, leaving room for Slovenia’s Matej Zagar to blast through and take his first-ever Grand Prix win. But speedway’s scoring system means points from every heat count towards the world championship, so the mistake only cost Woffinden one point on a night where he more than doubled his tally for the season so far. Woffy’s 16 points move him up to 28, just seven behind series leader Krzysztof Kasprzak, who missed the meeting after tearing a knee ligament seven days earlier. With Kasprzak’s main rivals failing to capitalise on his misfortune as strongly as Woffinden, the Brit is now right back in the championship chase. The GP was disappointing for Nicki Pedersen, with the Dane slipping to third in the standings behind evergreen American Greg Hancock, who recovered from last places in his first two rides in Finland to claim fourth place and 12 points. Exciting Aussie Darcy Ward couldn’t provide his usual spark on a Tampere circuit that was long and narrow, with an inconsistent surface that made it almost impossible for chasing riders to pass the leaders. The next round is at Prague’s Marketa Stadium, where Woffinden won his first-ever GP last season, on Saturday, May 31.